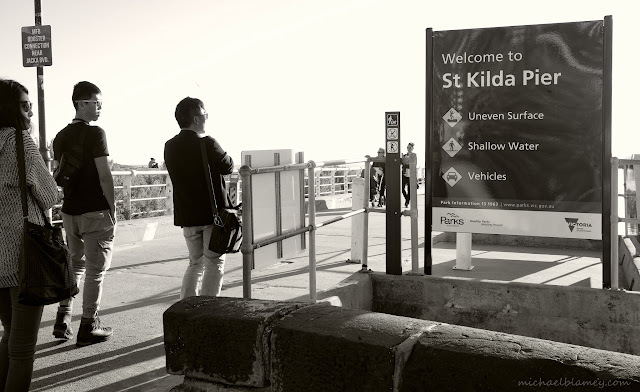 St Kilda Today: About to negotiate St Kilda Pier's uneven surfaces and vehicle traffic - wish me luck. Thanks Parks Victoria — at St Kilda Pier And Breakwater. About to negotiate St Kilda Pier's uneven surfaces and vehicle traffic - wish me luck. Thanks Parks Victoria — at St Kilda Pier And Breakwater.